WASHINGTON – The cost of an average Fourth of July cookout is down from last year, according to an annual survey – but still not low enough for food stamp recipients in Arizona to celebrate the holiday with all the fixings. The American Farm Bureau Federation estimates that a basic summer cookout for 10 will cost $55.70 this year, or $5.57 per person. The cost of a cookout, which includes burgers, dogs, drinks and more, is down from $5.61 per person last year and has fluctuated by only a few pennies in recent years. But that cookout would be out of reach for the 911,921 Arizonans who were on the Supplemental Nutrition Assistance Program in May, when the benefits averaged about $4 a day in food stamps per person. 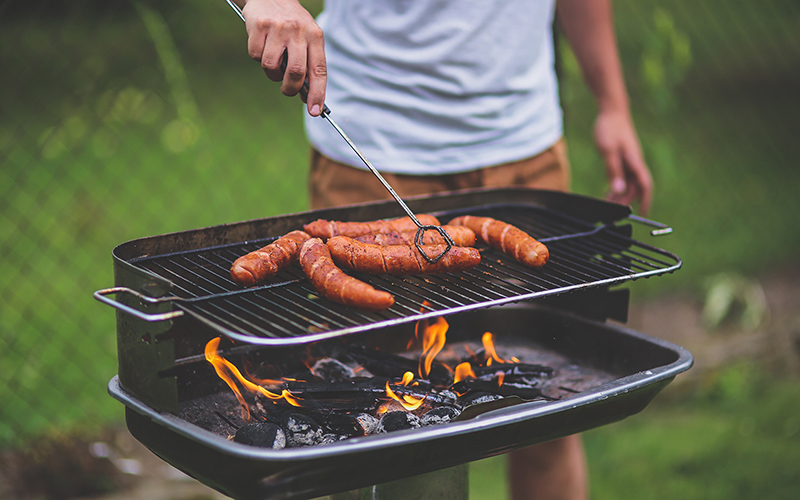 Some officials noted that SNAP benefits are supplemental and, with a little planning, recipients should be able to have a traditional cookout. Since everybody chips in for a typical Fourth of July picnic, they said, no one should have to go too far in the hole. But advocates bemoaned the level of support for food-stamp recipients, calling the farm bureau report a “reality check on the cost of a basic cookout” that points to the need for boosting benefits. “SNAP is providing important support to millions of needy people this July Fourth holiday, but SNAP benefits are far too low for most SNAP participants to afford the basic July Fourth cookout,” Ellen Vollinger, legal director at the Food Research and Action Center, said in an email. The American Farm Bureau Federation picnic basket report relies on a market-based survey and the federal government’s Consumer Price Index. The bureau uses the same cookout items every year to gauge the cost, including hot dogs, hamburgers, buns, pork ribs, potato salad, baked beans, corn chips, watermelon, lemonade and chocolate milk, among other items. Among the changes this year, the cost of hamburger, ribs and cheese fell, while lemonade, watermelon and potato salad rose. “As expected, higher production has pushed retail meat prices down,” John Newton, the farm bureau’s director of market intelligence, said in the report. But pennies count for someone on food stamps. State Rep. Pamela Powers Hannley, D-Tucson, recalled the difficulty she and her husband had several years ago when they took the food stamp challenge, trying to keep their grocery budget under the amount they would have received in SNAP benefits for a week. Planning meals and restricting consumption were among the many struggles for Powers Hannley and her husband, who found that working around the limits of food stamp benefits required a conscious effort. “Having it come at the beginning of the month is hard, because you might splurge on the Fourth of July and then on the 30th be left with just beans,” she said. A July Fourth cookout could probably be pulled off with a little planning, Powers Hannley said, adding that it is not as challenging as planning a Thanksgiving or Christmas meal might be. “SNAP helps assist our low-income Arizona families to celebrate America’s independence along with the rest of Americans and give a bit of financial independence when buying quality food, even if ever so slight, on the day when all of us should treasure our freedoms and celebrate them,” Murphree said.